Day of the Dead is one of my favorite holidays and it honors family members who have passed. It's celebrated in the home and cemeteries with favorite foods and beverages and toys of the deceased placed on festive alters. 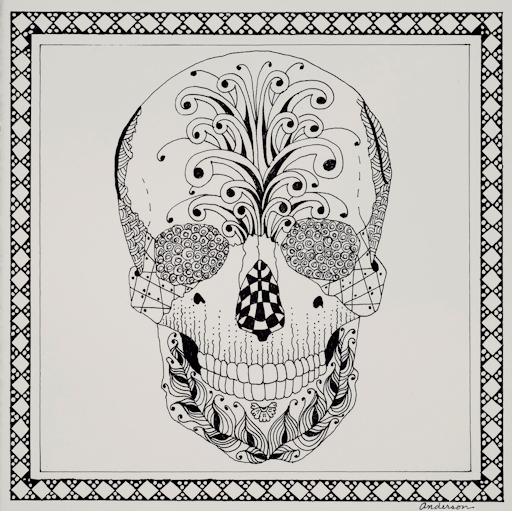 I have rendered the typical sugar skull with Zentangle designs. (C) Copyright Karin Michele Anderson, 2017. All rights reserved.